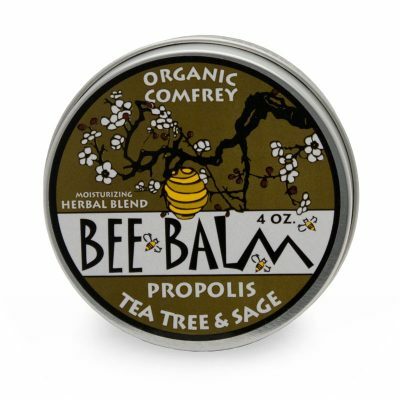 Healing salve for naturally aging skin that works great on the age lines around the eyes, leaving your skin looking and feeling younger. Smooth wrinkles by stimulating the production of collagen. I received as a gift, I like the product so I’m experimenting with some new ones! I will keep you posted. 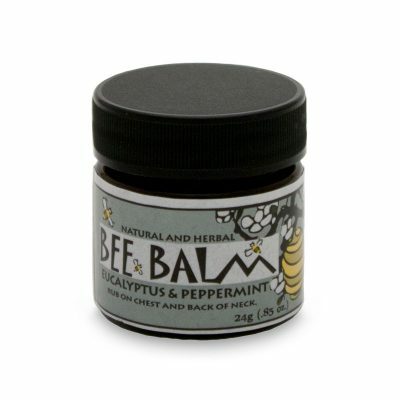 I picked up the Bee Balm “eucalyptus & peppermint” outside of Bismarck, North Dakota at a covenience store. This product is wonderful. I put in on my cracked feet (between my toes) and it cleared up the open skin wound, overnite. I was truely amazed. I love the way it smells and it helps during my hayfever days. Love this product. Glad I found out that I could order online. Also I am a diehard proponent of raw honey for a sugar substitute! Looking forward to purchasing this as well. I also a proponent of the essential oils and am so tickled that the products on this website already incorporate those essential oils. I purchased this product when visiting the store in Spearfish, SD. I love using it on the lines around my eyes! I’ve been using this product for 3 years now. It’s made a noticable difference in the way my skin looks and feels. I even take it backpacking and apply after rinsing my face at night with stream water. Really takes the edge off hot or cold wind burn, sun exposure, and all day sweating. Like giving your face a drink of water!!!! I love it! We love the Patchouli & Sage Bee Balm! I specifically use it around my eyes (age lines) and spot treat acne with it as well. Now that I have a teen with acne, I need a new jar! We love all the products we’ve tried so far and I’m going to order a few more to try! 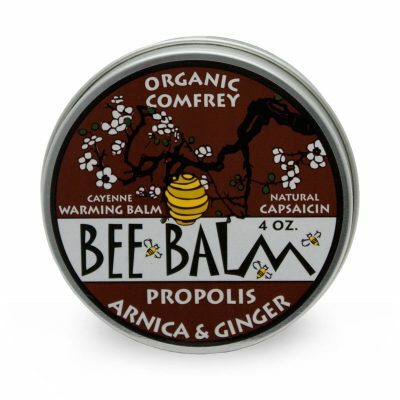 I have been using Bee Balm for about 5-6 years and find nothing better. My skin is soft and supple, and most people take about 10 to 12 years off my actual age , which is mid 60’s. It works for winter wind burn and summer sun. I highly recommend this product. Love this stuff. It smells wonderful. I love using this product at night under my eyes. When I wake up in the morning the skin surrounding my eyes is soft and moisturized; where as just using an aging cream at night they are depleted of moisture which is not good when you are 50. Thankfully I get a lot of compliments noting I don’t look 50:) I have been using it for years now! Thanks Mitch and Lisa ….you and your products are naturals!!! I was out in the Black Hills for the Sturgis Rally. Stopped at the honey farm tent in The city of Savoy in Spearfish Canyon. 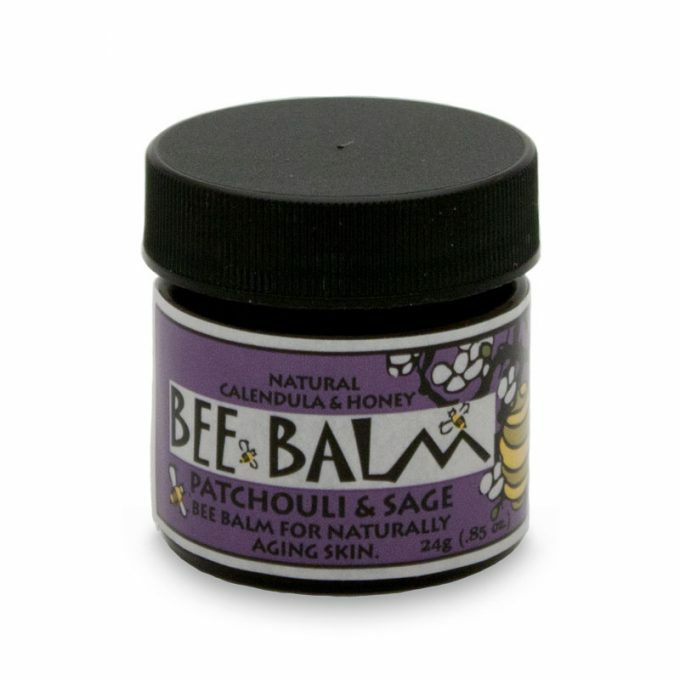 I am in love with the patchouli and sage bee balm. 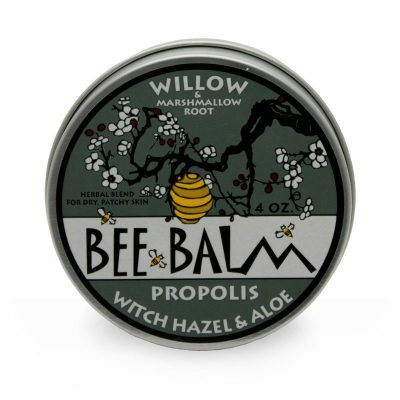 My husband had a hurt wrist from riding and we rubbed the balm on within minutes the pain had relaxed. This product is amazballs! I would like the option to purchase in a larger size. Like many others, I found this while traveling through the Black Hills. I loved it so much in the week I was there I hunted down a second jar. I absolutely adore this stuff! I work on the water all summer, and play hard in the snow all winter. This stuff really soothes after sun & wind and smells great. This is now one of my essential skincare products.